Applying for jobs is a boring process that involves mountains of paperwork. This is not only tedious for the applicant, who must fill out each and every sheet while ensuring that everything looks aesthetically appealing, but can also bore the employer, who must sort through each applicant and their paperwork. Because of the tedium, standing out and creating a fresh spin on resumes and CVs has become popular. 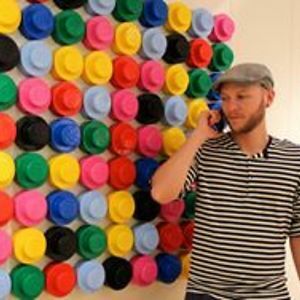 Additionally, making a creative resume can be fun for both the applicant and the employer, as it spices up the monotony of the job hunt and adds a much-needed element of fun. 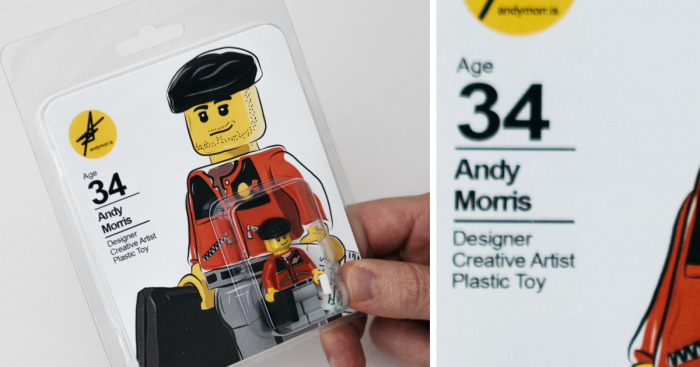 My name is Andy Morris and I’m a recent design graduate from the University of South Wales who enlivened my job applications with a unique CV in the form of a LEGO minifigure. 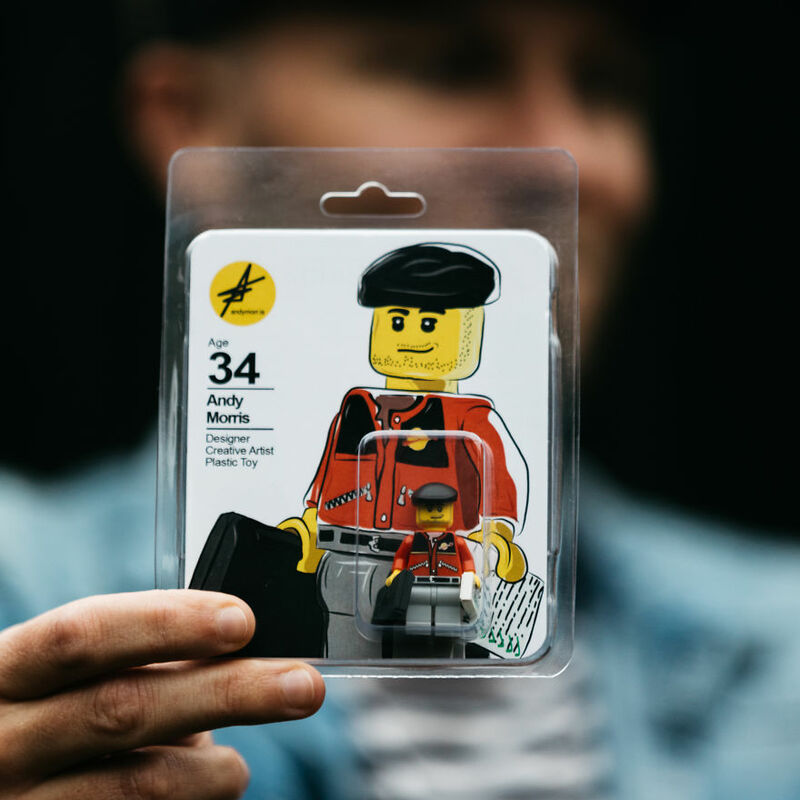 I used my design philosophy and experience with toys to create a LEGO minifigure CV that sets me apart from my peers. 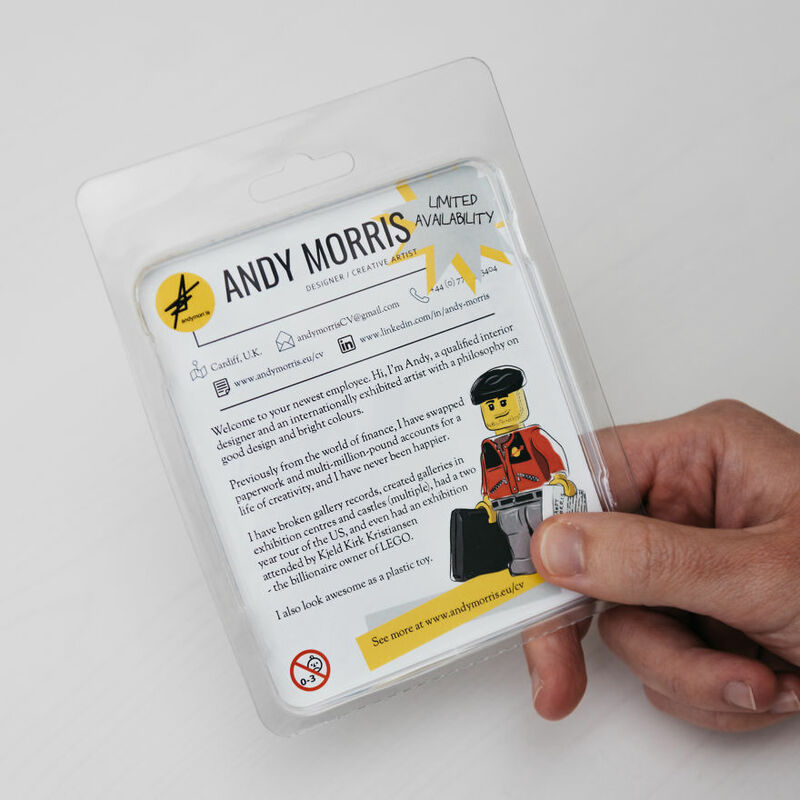 My fun take on the classic curriculum vitae comes in the form of a minifigure that resembles my own likeness, holding a laptop in one hand and a miniature custom printed CV in the other. 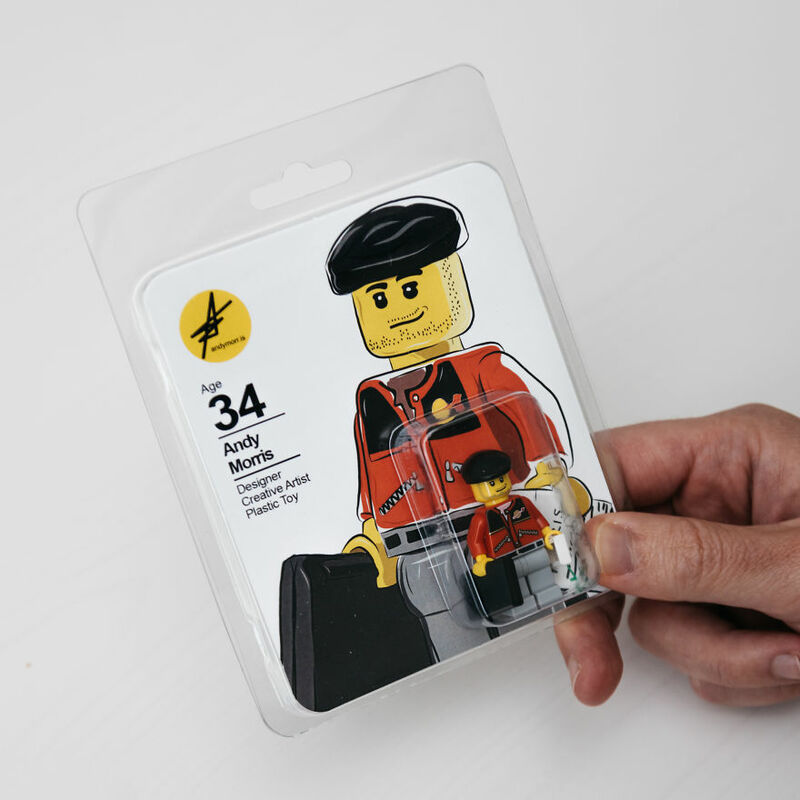 Meanwhile, the packaging has been designed to appear like the exclusive LEGO figures normally reserved for the likes of Comic-Con, while also featuring design elements unique to my work. 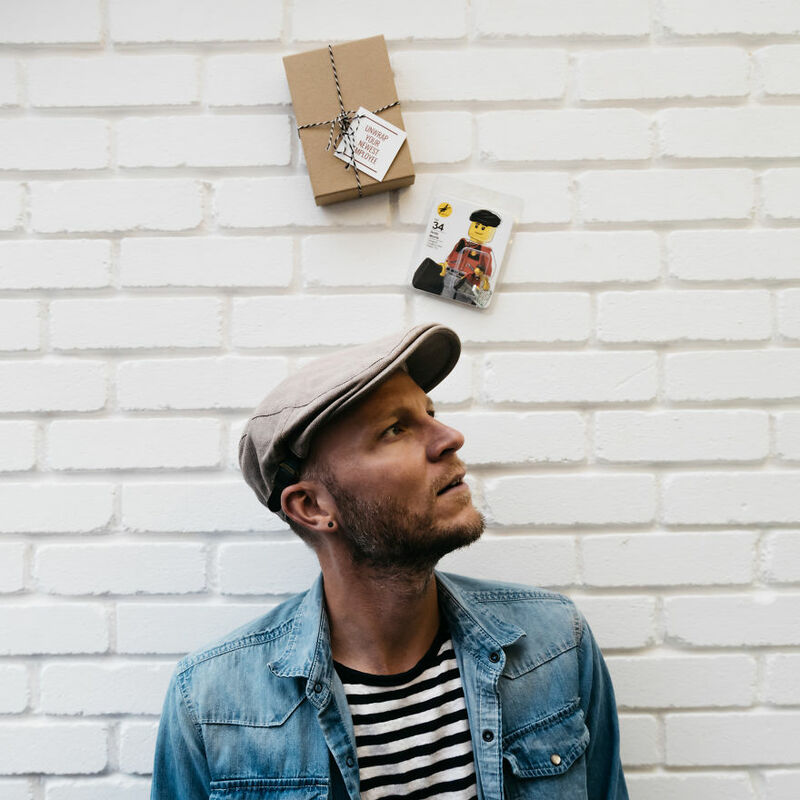 The entire package and minifigure display the care, detail, and design philosophies that I hold dear, all while conveying my commitment to fun and innovation. This combines to create an interesting CV that sets me apart from my contemporaries while still conveying the necessary information, and proving that everything can be fun if you take the right approach. Andy, where did you bought those clamshell packages for minifigure? Great work will attract great responses. Awesome job you got there! How did you make it? I'm so curious! What a unique way to market yourself and appropriate job too. Great idea!